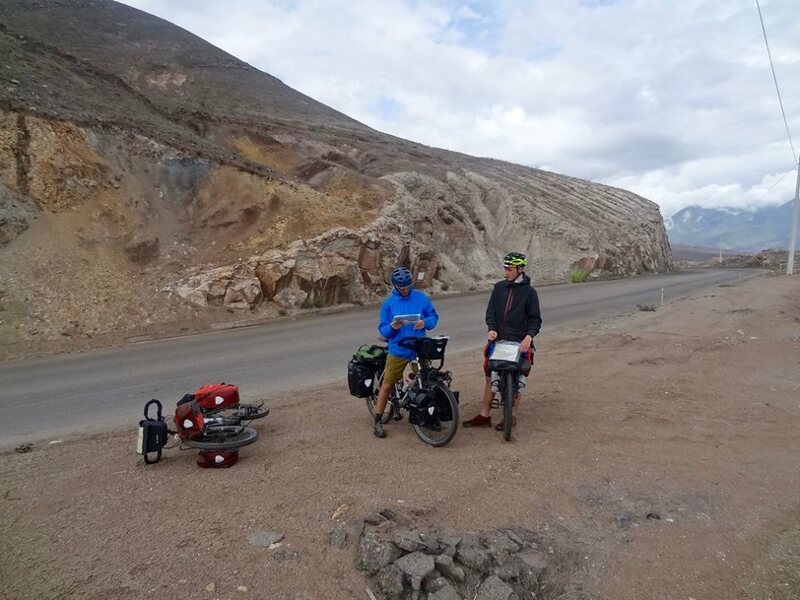 Meet #OurStoryteller, Robbie Brett, from Norwich, England, who recently cycled across South America, crossing over 2500 kilometres on the way! 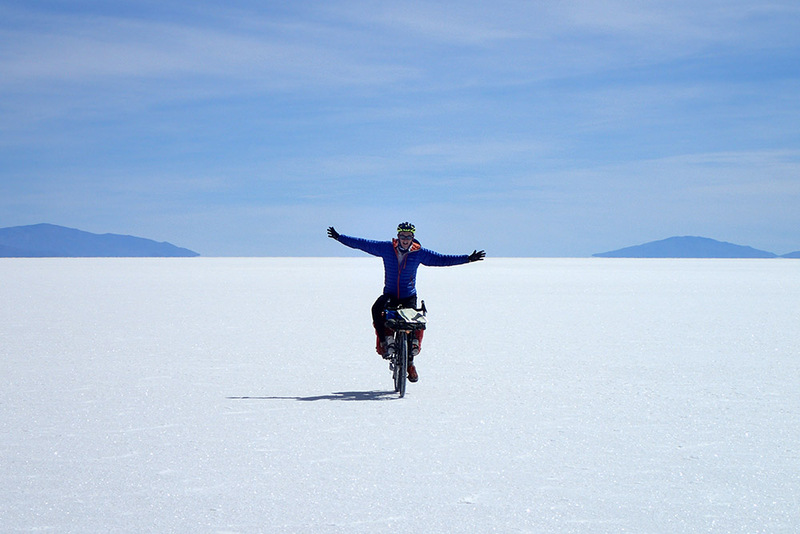 Having met Robbie in Bolivia during this trip, I can safely say his journey was one action-packed adventure with a mix of highs and lows. However, it is due to experiences like this that we grow as individuals and come back with a heap of stories to share and tell. Get ready guys, this is going to be a good one. Enjoy! 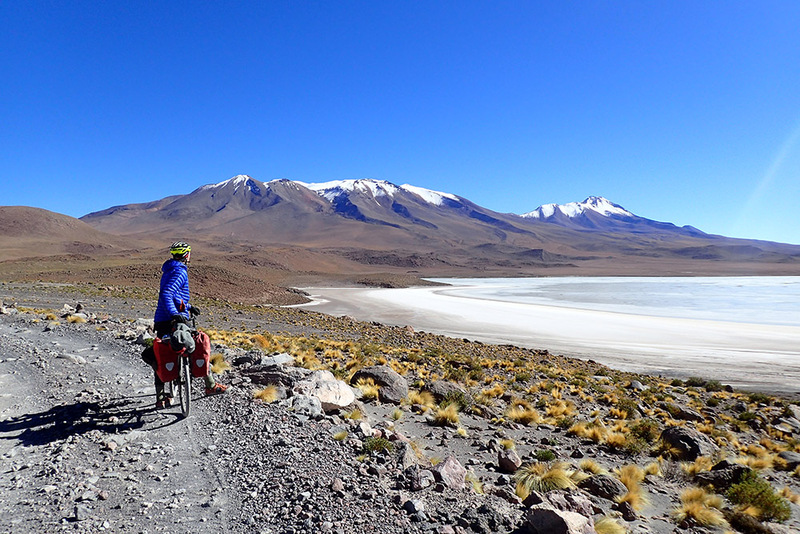 What inspired you to cycle around South America? 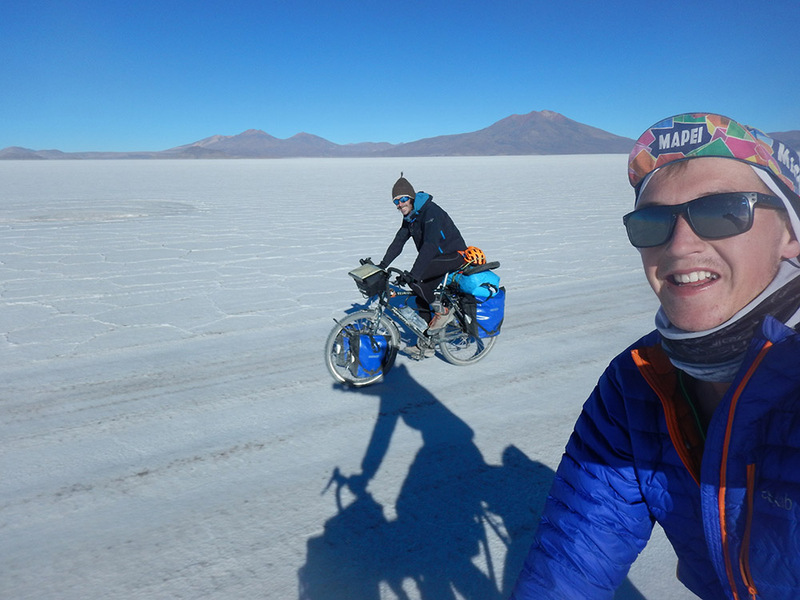 I had so many ideas of where I wanted to go cycling, but South America was definitely top of the list. Although I wanted to travel I also wanted to challenge myself, enjoy the fresh air, local communities and uncover the hidden parts of South America. For me, there was no better way to do this than cycling! One evening after work I was reading an old cycling magazine and there was a contact in there who was based in Bogota, Colombia. We exchanged a few emails and he offered to host me at the start so I booked my flight and flew out a few weeks later! Yes, that was literally it, decision made. On the 25th of January, 2017 I left Heathrow Airport with my bike for Bogota, it was happening! How do you plan your routes and how difficult was this? Did you do a lot of planning in advance? I arrived in Bogota and spent a week there where I spent some time seeing the local sights and planning my cycle routes. The first part of my journey was to cycle from Bogata to Santiago, Chile, 6000 Kilmetres away. I planned the journey by speaking to my host and his local friends. For anybody planning something similar, I would highly recommend going out and speaking to the locals, there is nothing that beats local insights and knowledge, it saved me so much time! Once I left Bogata, my confidence grew as the trip progressed. Although I still had a plan it was not strict and I often took the smaller roads to see more of the rural parts of South America. 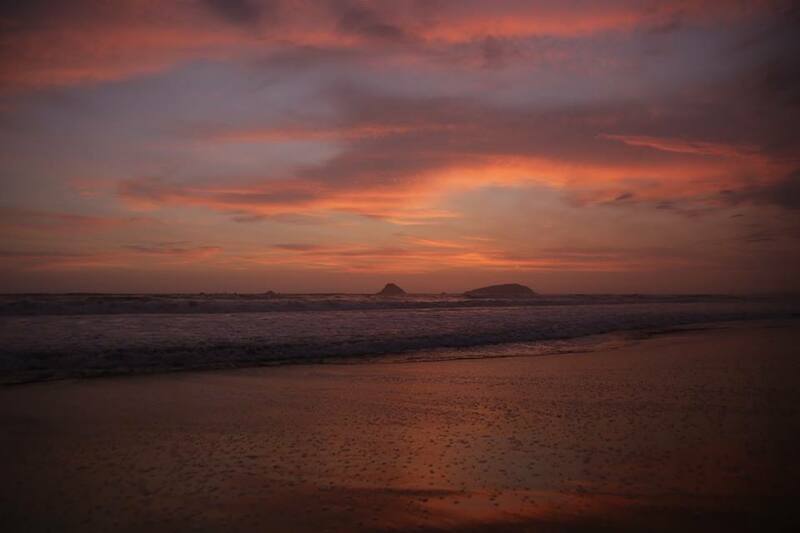 From Chile I went to Nicaragua, Costa Rica, Panama and back to Colombia, followed by a week in the Galapagos. Throughout this journey, I rarely planed more than 2 or 3 days in advance, except when I was carrying a lot of food. 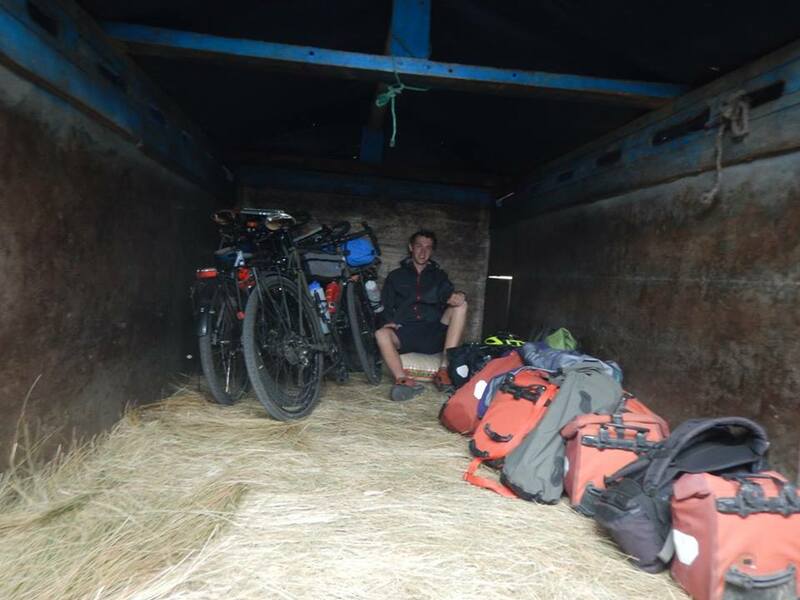 I was cycling for for 10 days unsupported in Bolivia with no shops or hostels, so I really had to plan this well to ensure I had enough food to cover the journey. Did you come across any difficulties and how did you overcome them? The first few weeks of my trip were tough. It took a long time for me to adjust to being on my own, trying to find places to sleep where hostels were non-existent wasn’t easy and getting used to the different types of food was a big change. 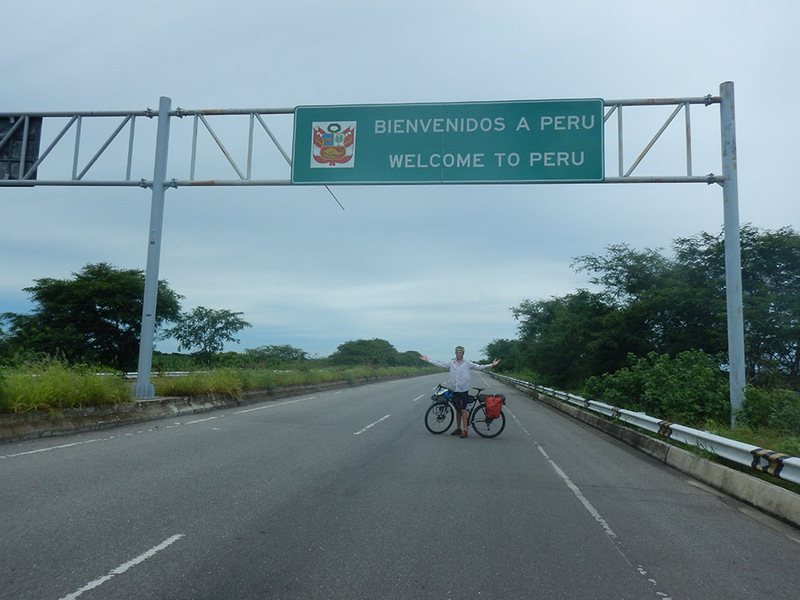 On my four and a half month cycling trip I had to be rescued twice, fell asleep while cycling a number of times and had to navigate around the far from conventional South American traffic. 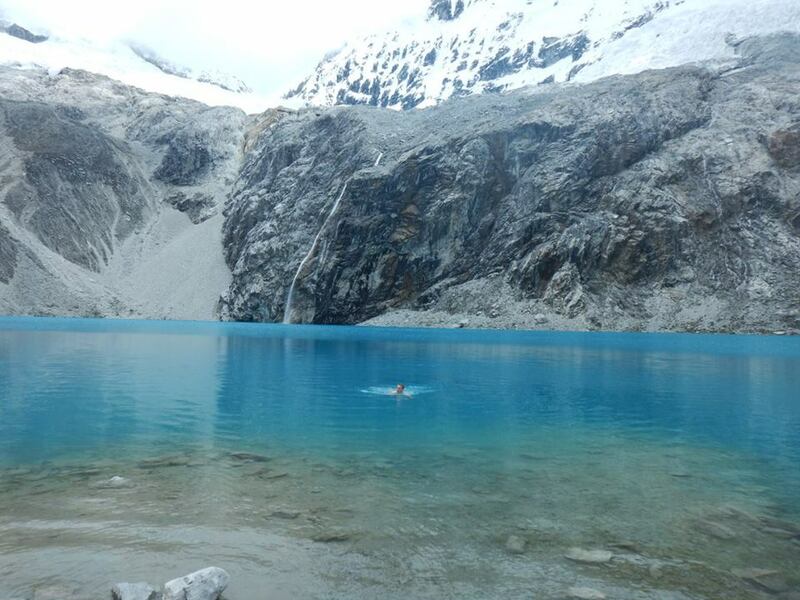 The first time I had to be rescued was in the north of Peru in an area drastically affected by flooding. The roads to the south were either destroyed by landslides or had rivers flowing across them. After around a week of being stuck with no water or electricity I ended up on a military evacuation with the Peruvian air force. Despite this not being part of the plan, it was an incredible experience and a first-hand insight into the impact of flooding can have on local communities. The second time I got stuck was in the south of Bolivia. 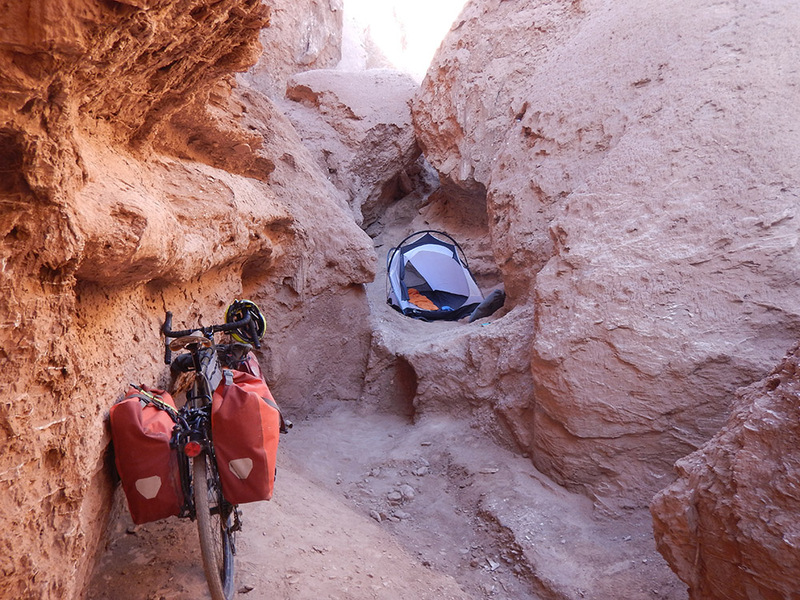 I had been cycling for about 10 days , completely self-supported, sleeping in the tent, filtering water and carrying food. Suddenly, both me and my cycling partner (a cool guy I met during my travels doing something similar!) found ourselves unable to continue due to a metre of snow blocking our path. Having waited for four days in the wind and the snow at 4600metres, we ran out of food and had to literally beg one of the tourist jeeps to take us back to the nearest town, a seven hour drive away. We got the lift back. Not part of the plan, but it shows that no problem is forever and eventually things works out for the best. Also there are good people everywhere who are always willing to help a person in need. Best parts of the trip? Too many! 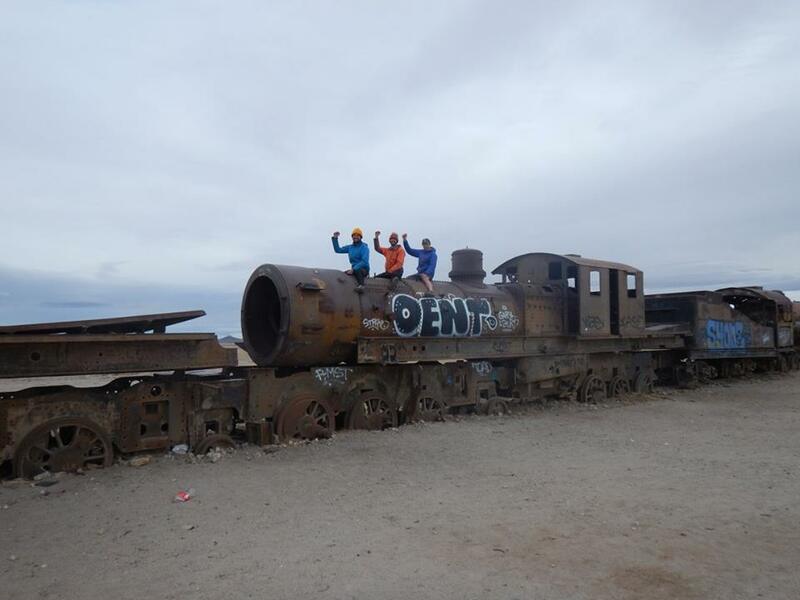 Hitch hiking 250km in one day with two other cyclists, cycling around lake Titicaca- the world’s highest and largest navigable lake; climbing Huyna Potosí, a 6088m mountain in Bolivia and sleeping in the world’s largest salt flats in Bolivia just a few! The list is unlimited. 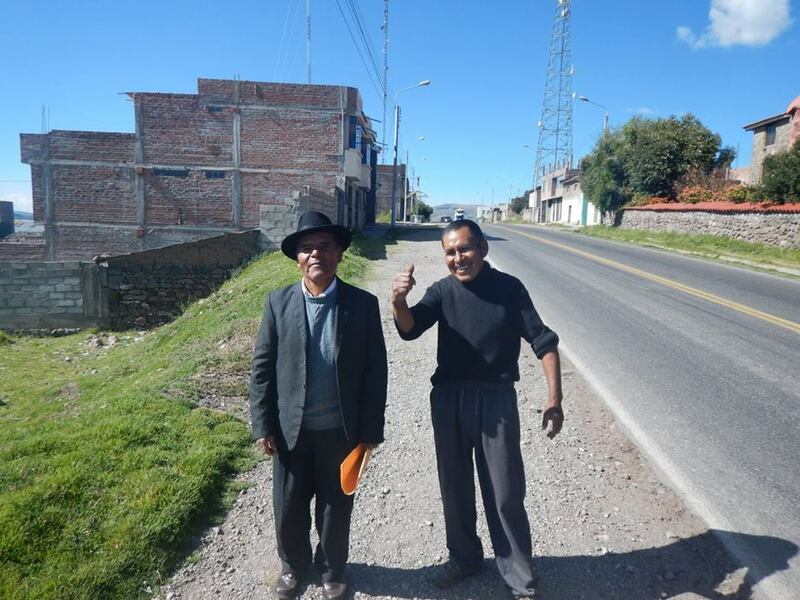 The endless conversations with inquisitive locals asking about cycling in this incredible continent and also conversations with the people I met on this journey (including Mr Storyteller!) are priceless. Some of the places I visited were not full of tourists, but I am sure in a few years they will be as they are slowly uncovered. My advice would be to definitely go now! Too many to choose but the silence of sleeping in the world’s biggest salt flat will stay with me forever. 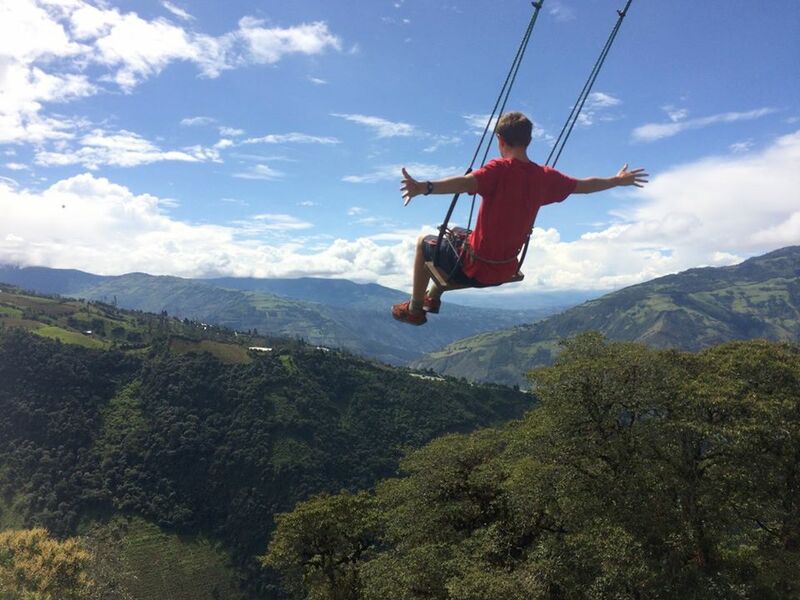 Other favourites are Huaraz in Peru for its mountains, Salento in Colombia for its stunning scenery, or Quito in Ecuador due to the amazing atmosphere. Generally though, South America is incredible and is made better by all of the welcoming people. It’s a relatively easy place to get around and has a great network of hostels so you are never too far from a friendly face. Would you recommend cycling around South America to others? Definitely! Although I had some difficult experiences, this could happen anywhere and my story would very different had it not been for these experiences. By cycling you visit all of the small villages and local communities between the more touristy spots. This allows you to get much more of a sense of the country and meet some amazing local individuals rather than just seeing the developed and main tourist locations. Cycling isn’t just good for you but good for the planet to. It’s very flexible, giving you unlimited freedom as to where and when you want to go. And if you’re tired, just jump on a bus! What key life skills do you feel you have learnt from your journey? I learnt a whole host of things about another continent as well as about myself. I’ve picked up a new language, learnt about the incredibly diverse history of Latin America, as well how to travel safely, efficiently and maximise every opportunity. Before my trip I was very much reliant on other people in my everyday life. The first few weeks were tough but I got very used to never really having a plan and learning to go along with all kinds of situations. I became confident with talking to locals in their language as well as fellow travellers in hostels and on the road. I am now more than happy in my own company for days on end, but it’s always nice to have a chat in a hostel with fellow travellers. Before my trip I was a relaxed person, but having had an unpredictable 7 months I find that nothing really phases me anymore and I don’t get stressed. Things always work out in the end! What advice would you share with others who plan to do something similar? This was my first trip and the first few weeks I certainly felt I had jumped in at the deep end and was very overwhelmed. A combination of culture shock, missing home and feeling isolated was difficult to get through but I’m so pleased I stuck with it. Yes, you will have some incredibly tough days on the bike, whether it is loneliness, the weather, your stomach – anything can get you down! But having been through these low days you realise if you can do this you can do anything. With the lows come the highs and I have some incredible memories both on and off the bike. Travelling under your own steam brings a huge sense of satisfaction, having earned every high and survived every low. If you are thinking of cycling but are worried about some of the challenges of cycle touring you could start with something easier like Lands End to John O’Groats to see how you deal with the challenges that throws at you. I had very few possessions for my cycling tour but everything I carried I had for a reason. I would recommend people take a diary (or a Storyteller Travel Journal!). Even if you only write a few words a day it will be a great reminder of your trip. Reading mine back reminds me of conversations with locals, people I met and places I went. I have kept diaries from all of my childhood holidays and reading through them takes me straight back to each place. Be confident, be bold, push yourself, interact with the locals, try going solo for a few days, be flexible, and always say yes to opportunities! Future adventure based travel plans?! Having completed my first major cycling trip I have many more trips planned, some by bike and some by other means. These range from cycling to the southern Spain, Cycling from East of Africa to South Africa! I also plan to cycle from Norwich to France or Iceland on my bike. As well as cycling I would also love to travel by my other passion, paddling. I would love to kayak across the Irish Sea and around Ireland as well as short canoe trips in the broads in Norfolk. Lots planned and exciting times ahead! 3 philosophies- If there was a major disaster and everything you had wrote, posted and shared got destroyed, what three beliefs would you want to share? Don’t stress, look forward and continue to create and share new memories.